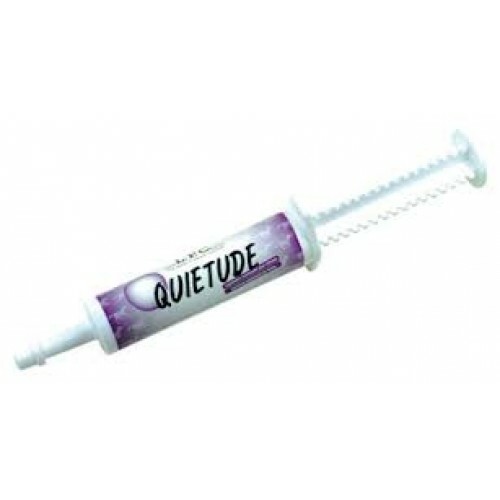 Quietude is for horses in stressful situations during transportation, loading, riding, it allows the horse to relax, and remove the need for nervous reactions. This re-educates the nervous system as it settles into new habits, so that the horse no longer reacts in the old way. L-tryptophan 5.0 mg, magnesium chloride 900 mg, Thiamine (Vit, 90 mg), riboflavin (vitamin B2 14 mg). Apply directly to the horse's tongue.